Payback is oh so sweet, isn’t it Denver? The Seahawks opened the 2014 preseason with a slight thud as they lose to the defending AFC champion Denver Broncos 21-16. The loss snaps the Seahawks 9-game preseason winning streak dating back to the 2011 season. I saw some good but quite a lot of bad on Thursday night. Here are my thoughts. Thoughts on our Starting Units: On the whole I thought both the Seahawks starting offense and defense looked pretty average. On offense, Russell Wilson played two series and went 4/6 for 37 yards. There is definitely rust that still needs to be shaken off as Wilson failed to hit Doug Baldwin and Luke Willson on quick passes that definitely would have been made in the middle of the regular season. 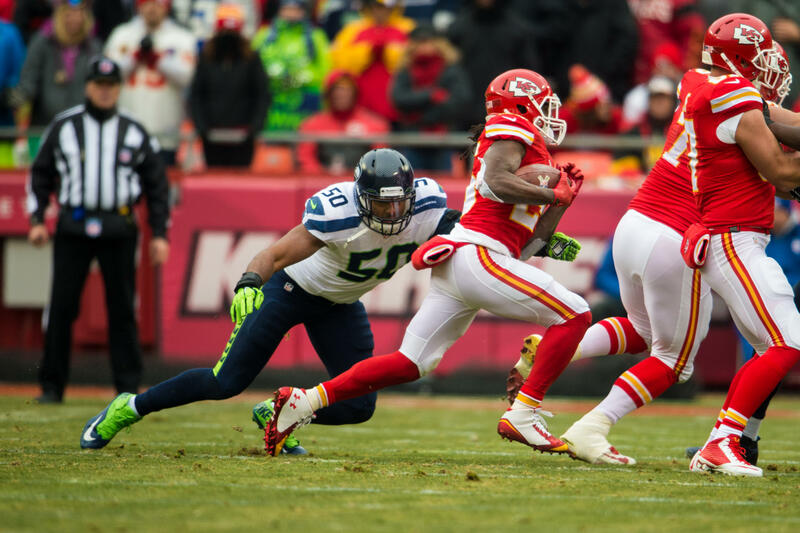 Wilson looked much better on his second series, where he put together a 14 play, 90 yard drive resulting in a Christine Michael touchdown run following a 45-minute lightning delay. What was also disappointing was that starting wide receivers Baldwin, Percy Harvin, and Jermaine Kearse made minimal impact in the first two drives, combining for two catches for 29 yards. 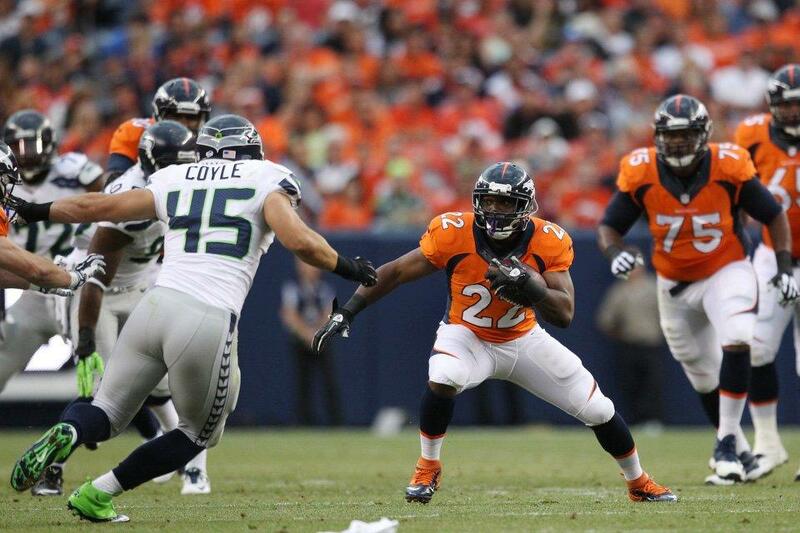 On defense, the Seahawks did a very good job stopping Broncos running back Ronnie Hillman to start off the game. The secondary did a decent job in coverage but it seemed that Peyton Manning had more success on his two drives of this game than he had during the entire Super Bowl back in February. Richard Sherman was not targeted at all, which gave Byron Maxwell and Jeron Johnson an opportunity to play an expanded role in coverage. Brock Coyle did a very nice job starting at middle linebacker, making 5 tackles, and his intensity on kickoff coverage makes me ponder the possibility of him making this team over current backup linebacker Heath Farwell. On the whole I expect to see much improvement next week when we play San Diego. Too. Many. Penalties: I don’t know if it was just the referees trying follow the new penalty rules or if gameplay was straight up sloppy but there were enough flags thrown against both teams for me to tie them together, go up to the roof of my house, and shimmy down the side of said house unharmed. 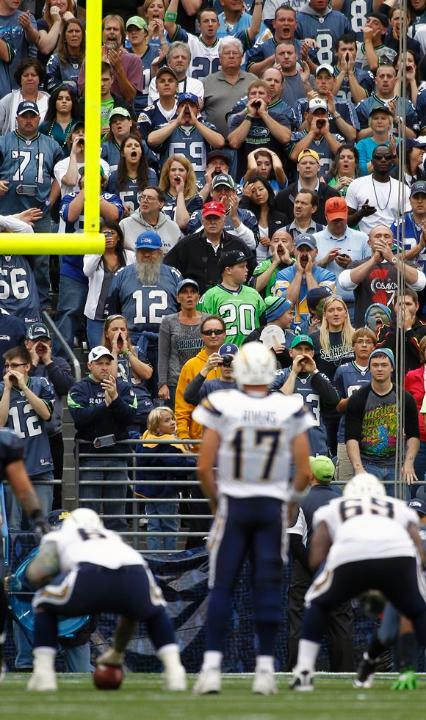 Seattle and Denver combined for 25 penalties, resulting in 226 penalty yards. The Seahawks had 13 of those penalties for 131 yards. Five of the Seahawks penalties were snap infractions, either false starts or defensive offsides. The quantity of these mental mistakes is unacceptable and will be a focus in practice this week. 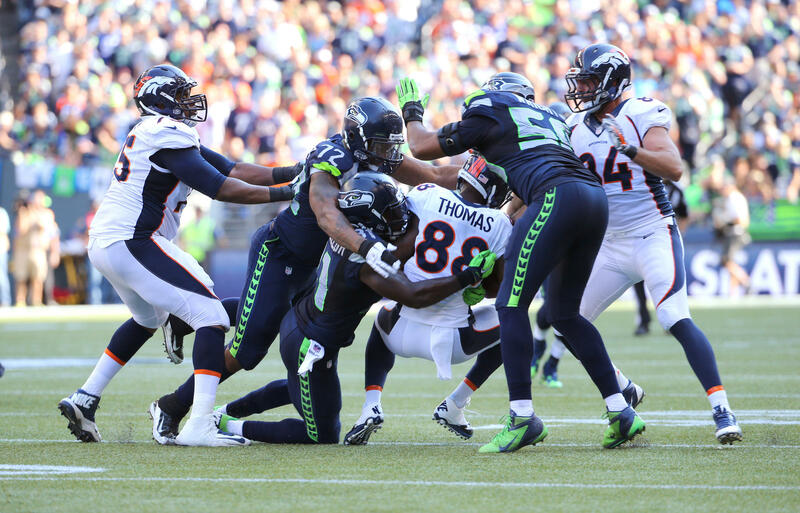 The Seahawks veterans also need to figure out a way to mentor younger players to keep their heads cool, as cornerback Tharold Simon was ejected after a Denver touchdown for striking a Broncos player in the head following the score. If we can cut our penalties down to about half next week that will show me that there was significant improvement made in practice next week. Jackson vs. Pryor, Round One: One of the more underrated position battles going on in camp is who will be Russell Wilson’s backup this season. Terrelle Pryor has looked more impressive in practice with a combination of good speed on the ground and solid accuracy through the air. In this first game, however, I think Tarvaris Jackson has a leg up on Pryor. 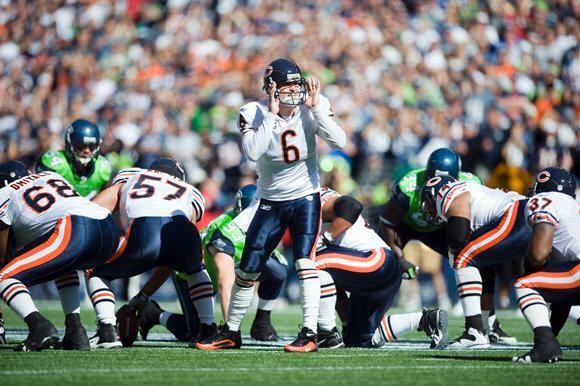 Jackson went 5/7 for 47 yards, earning an 89.6 passer rating. Jackson made safe decisions and was able to move the ball fairly well. Pryor has been known to be a good practice quarterback but be a “deer in the headlights” player during games. This was apparent on Thursday night. Pryor was very erratic through the air, underthrowing and throwing behind his targets several times. His decisions to keep the ball and run also seemed to fail, as he seemed to take too much time deciding whether or not to throw or to make something happen on the ground. If this first game is any indication, Jackson deserves to be the second-string quarterback next week, and Pryor will have to move the ball extremely well next week to keep his name in the conversation to be the backup. Another below average performance by Pryor next week and Jackson may have the backup quarterback job safe to himself. Run Defense Struggles Mightily: Later on in the game, Broncos running backs Juwan Thompson and Kapri Bibbs did a good job finding holes to run through while gaining large chunks of yards. Thompson and Bibbs combined for 77 second half rushing yards on 10 carries while making the Seattle backups look very mediocre. The entire team gave up 116 total rushing yards on the day. Could it be too early to wonder if the Seahawks are okay with their defensive line depth? After Brandon Mebane and Tony McDaniel exited the game, no defensive tackles made any tackles for the rest of the game; Thompson and Bibbs were able to make it to the second level of the Seahawks defense before the tackle was made more often than not. Thoughts on Denver: It is hard to have any concrete thoughts on an opponent this early in the season, but the Denver Broncos showed that they can definitely get up for a big game. The Broncos fed off the energy of their crowd and played with a chip on their shoulder. Even the backups and rookies who may not have been on Denver’s Super Bowl squad last year played with payback on their minds. Barring injuries, I believe the Broncos will be competitive in every game they play and even though Peyton Manning’s offense may not come close to breaking the records broken last season, they will definitely put up solid numbers once again. As of now, I’m thinking our game against Denver in week 3 will be a much closer game than you might seem to think. 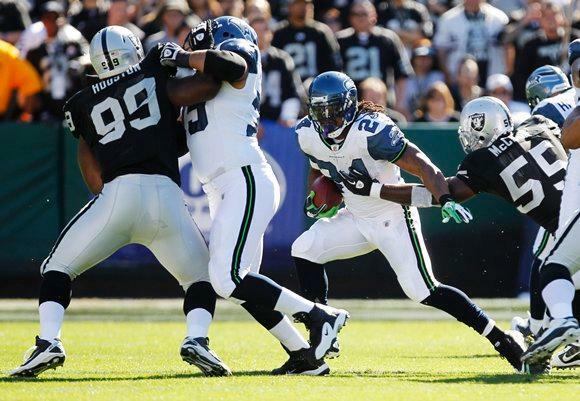 Random Thoughts: The Seahawks matched their white road uniforms with wolf grey pants. 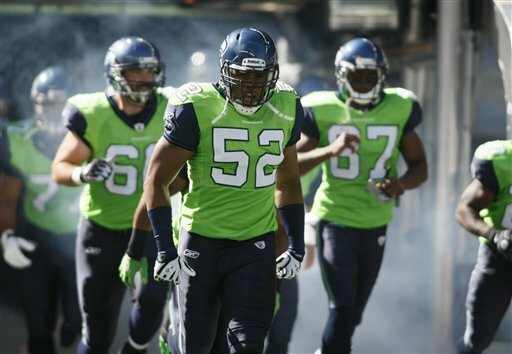 The Seahawks did not wear this combo in any regular season or postseason game last year and I am starting to think it is because this combination is bad luck. Hopefully Thursday is the last time we see white/grey for a long time… During the 45-minute lightning delay, Q13 FOX switched from the Seahawks broadcast to a re-run of “Cops.” It was an episode that highlighted the King County state patrol so that was cool I guess (even though I wasn’t paying attention to the couple of minutes that I watched)… Actually I don’t know what was worse: Cops or the broadcast of the 49ers/Ravens game on NFL Network. They had the commentators watching the game on television and doing play-by-play from a studio in Los Angeles. It was almost unwatchable it was that bad… How many more weather delays are we going to have to deal with this season? Hopefully none… It was actually pretty funny hearing Broncos quarterback Brock Osweiler scream “Omaha” on his snap counts. It is yet another category that I can confirm Osweiler is no Peyton Manning… I tried Twilight Summer Ale from Deschutes Brewery during the game. Good flavor but as far as “good beers to drink in the summer” go I’ll probably stick to hefeweizen from here on out… I can’t wait to get back to CenturyLink next week. Check back next Thursday as I preview our second preseason game against the San Diego Chargers. I may hop on early next week as well. Go Seahawks!